Gelsenkirchen - Get ready for Ruhr rumblings by the dozen as FC Schalke 04 prepare to grapple with near-neighbours Borussia Dortmund in the 142nd Revierderby on Saturday afternoon (kick-off 15:30 CET). A footballing rivalry like no other, it’s easy to see just why Ruhr natives dub it their "game of the season". The dust had barely settled on Dortmund's dominant UEFA Champions League showing over Shakhtar Donetsk on Tuesday before cries of "we want a derby win" began to resonate from the Signal Iduna Park's infamous "Yellow Wall". Which just goes to show, you can be playing some of the finest football the game has ever seen on the grandest stage of them all, yet nothing quite gets the blood going like the Ruhr district derby. "I find it weird, but it shows how important that match at Schalke is. 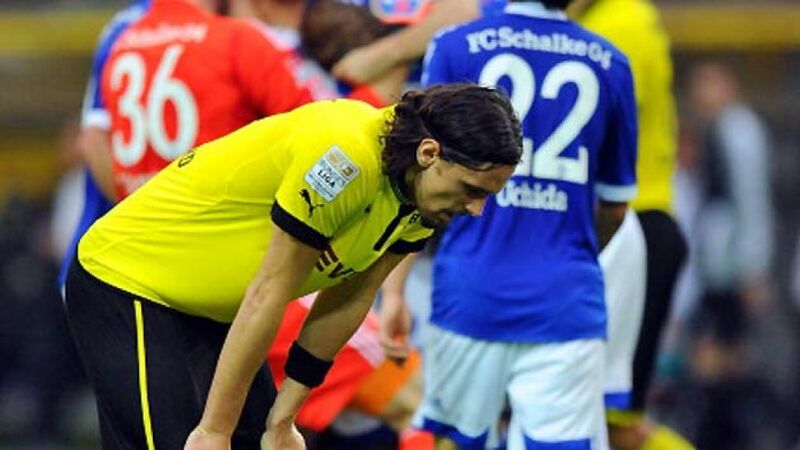 For the fans, it is the game," said Dortmund defender Neven Subotic. "It's still the most special game of the Bundesliga season," added head coach Jürgen Klopp, for whom losing a second successive derby doesn't bear thinking about. "We didn't just lose the game; we played really badly," he said of his side's 2-1 defeat at Schalke hands on Matchday 8. One of the heroes that afternoon was Schalke prodigy Marco Höger, who once again looks set for a starring role in the absence of suspended midfielder Jermaine Jones. The 23-year-old sank Yellow-Black hearts with the winning goal back in October - a moment he'll never forget. "It was an indescribable feeling," he recalled, "not just because I scored, but also because we were able to celebrate a magnificent win over BVB with our fans." Schalke have fallen down the Bundesliga pecking order somewhat since, but back-to-back wins over 1. FSV Mainz 05 and VfL Wolfsburg serve as a timely reminder of their top-four credentials. "It’s definitely picking up," said Schalke's star of the show against Wolfsburg, Julian Draxler. "Of course, it was important for us to get back in touch with the leading pack against Wolfsburg, but now - family members included - everybody’s talking about the game against Borussia." And he really does mean everyone. After all, the Revierderby is the stuff of legend: the most hotly-anticipated fixture on the Bundesliga calendar and for fans of industrial powerhouses Dortmund and Schalke, the highlight of their season by some stretch. Little wonder, then, that they call it "the mother of all derbies".